A 34 year old male pedestrian was struck while walking on Central Avenue, NCPD reports. NCPD are investigating a Fatal Vehicular Accident in Lawrence. Lawrence, NY - November 9, 2018 - The Homicide Squad is investigating a Fatal Vehicular Accident involving a pedestrian that occurred in Lawrence on Thursday, November 08, 2018 at 1:48 pm. 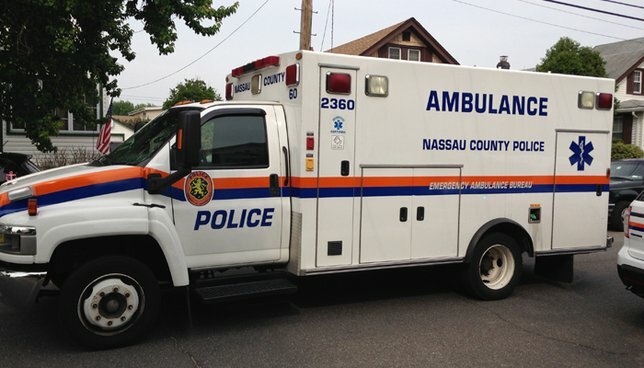 According to detectives, a 34 year old male pedestrian was struck while walking on Central Avenue by a 2016 Freightliner traveling north on the Nassau Expressway driven by a 37 year old male. The victim, Naftali Rhodes of Far Rockaway, 34, was crossing the Nassau Expressway (Route 878) from west to east when he was struck. Rhodes suffered severe body trauma and was transported to a local hospital for treatment in a Hatzolah ambulance. Rhodes was later pronounced deceased by hospital staff. Subject: LongIsland.com - Your Name sent you Article details of "Police Investigating Fatal Vehicular Accident Involving Pedestrian in Lawrence"